Boston City Councilor Matt O’Malley. Pet stores in Boston would not be able to sell dogs, cats, or rabbits from commercial breeders under a city ordinance proposed by City Councilor Matt O’Malley aimed at preventing the sale of animals bred in unsafe conditions. While not all breeders treat animals badly, most furry creatures have been subjected to abuse and neglect prior to arriving in stores, O’Malley said. “The case is that a vast majority of animals in pet stores come from breeding facilities,” O’Malley said in an interview on Saturday. Many commercial breeders do not provide proper veterinary care, nutritious food, water, shelter, or space to exercise, he said. O’Malley plans to announce the measure, which he has dubbed the “Puppy Mill Bill,” on Monday during an 11 a.m. news conference at MSPCA-Angell, the animal hospital in Jamaica Plain, his home district. In a statement, Laura Hagen, deputy director of advocacy at MSPCA-Angell, endorsed the measure, saying it could help reduce the number of homeless rabbits in the city. “We have seen a sharp increase in the number of rabbits surrendered to our Boston adoption center . . . due in part to continued rabbit sales in pet stores,” she said. Pet shop owners and suppliers expressed mixed views on the proposal. “Usually there are some puppy-mill dogs which are over bred, unhealthy, and not cared for,” said Nancy Maida, co-owner of Pawsh Dog Boutique, a Back Bay pet supply store. The Pet Shop in Allston, one of the last retailers in the city that sells rabbits, could be hurt by the proposal, owner Jim Gentile said. Gentile does not sell dogs or cats. He sells rabbits that he breeds. He wonders about the proposal’s language. “I want to know what a breeder is,” he said. The ordinance would not affect consumers who want to buy animals directly from a breeder or adopt through an animal adoption agency. It will contain a provision to ban “Drive By Pet Sales,” in which people sell animals in public parks, sidewalks, and city streets, O’Malley said. 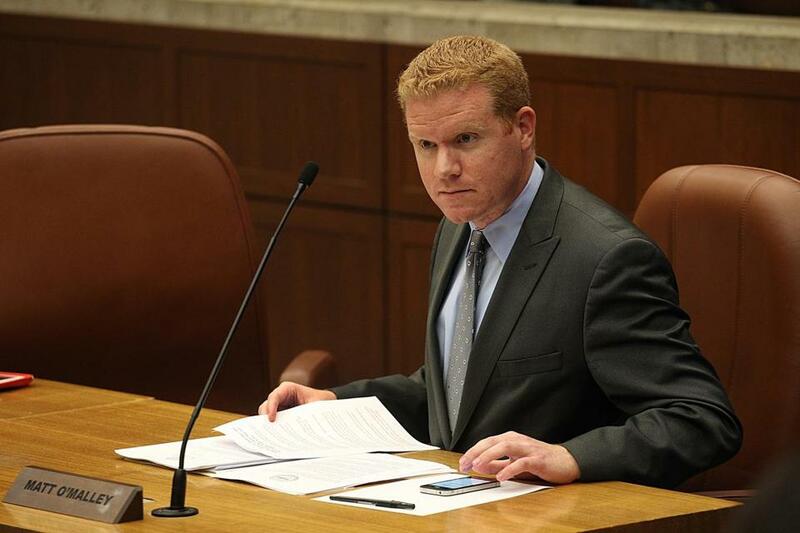 O’Malley, the District 6 councilor who also represents West Roxbury, said the measure reflects a national effort to crack down on animal abuse at the hands of unregulated puppy mills. Nationwide, 120 municipalities, including Chicago and Los Angeles, have adopted laws to ban the sale of commercially bred puppies and kittens from pet shops, according to O’Malley. O’Malley said he plans to file the measure on Monday, and to discuss it at the council’s weekly meeting on Wednesday. A hearing will be held before the measure is put to a vote, he said. Animal rights groups already have lined up to support O’Malley’s measure. O’Malley said the timing of this announcement comes just in time for Easter. “With Easter coming up, there are many stores that do sell rabbits and bunnies [and] some folks might think it’s a cute gift for kids,” he said, but unknowingly purchase an unhealthy bunny. Alexandra Koktsidis can be reached at alexandra.koktsidis @globe.com. Follow her on Twitter @akoktsidis.